Home » Weight Management » Diets » Fraudulent Slimming Products Exposed! There’s no denying that weight loss products boom in the health supplement industry. The market is growing and shows no signs of stopping, with Americans spending an estimated $35 billion each year on weight loss products and programs. In 2010, the Centers for Disease Control and Prevention (CDC) reported 35.7 percent of American adults as obese, along with 17 percent of American children. It’s no wonder people are drawn to TLC’s My 600-lb Life that chronicles the excruciating journey of the truly fat to downsize. Funny how the new season of the show starts in early January when holiday hangovers and added pounds are top of mind. People want help, encouragement, something to offer them hope in an easy-to-take capsule. After all, time-crunched modern society is working against us, pushing processed foods for convenience and take-out restaurants at every intersection. The microwave is the new office water-cooler. Putting in the work to slim down – eating whole foods, drinking more water, increasing our activity levels and getting proper rest – takes real effort and focus, and that’s not always easy when we feel overwhelmed by our to-do list. So my blood boils when I hear that supplement products to address weight concerns turn out to be bogus. Ineffective. And money down the drain for innocent consumers. It gives the entire supplements industry a bad reputation and that’s not fair, either. I’m an MD who sees incredible results in my patients from the products I’ve had a hand in developing with Bel Marra Health. There is such value in taking a natural-based product that doesn’t have the often serious side effects and addictive properties of prescription drugs. Four companies are under fire and have been fined for pedaling weight loss products with unproven claims. The Federal Trade Commission (FTC) recently announced its Operation Failed Resolution crackdown on companies that tout misleading claims for their weight-loss products: Sensa, Inc., LeanSpa, LLC., L’Occitane and HCG Diet Direct. Any of these sound familiar? These marketers will pay a total of about $34 million for consumer refunds, so get in line. HCG Diet Direct, however, has filed financial statements to the FTC indicating it cannot pay the judgment, so the fee has been suspended. Common sense tells us weight loss could be as simple as consuming fewer calories than we’re using. But what if you could speed things up with a simple pill or food additive? As Sensa, Inc. claimed: You sprinkle Sensa on your food to lose an average of 30 pounds in six months, without dieting or exercise. Sensa flakes contains maltodextrin, tricalcium phosphate and silica, as well as natural and artificial flavors. Simple, yes, but unproven, most definitely. Modern science shows that none of these ingredients has anything to do with helping the body shed unwanted pounds. In the supplements industry, anyone with a level of medical knowledge developing these flakes would know this. My research team with Bel Marra Health would have figured this out in two days, yet this product has made millions over four years. A one-month supply of Sensa is $59 plus shipping and handling. CNN reports that court documents show the profit from Sensa sales in the United States totaled nearly $364 million between 2008 and 2012. That’s a lot of cash for snake oil sprinkles preying on the hopes of consumers. As for LeanSpa, the FTC shut it down in December 2011 – that right, more than two years ago – for its alleged false claims and fake news websites promoting acai berry and colon cleansing products. Customers were paying $79.99 in shipping and handling charges for a “free trial.” The FTC door-closer didn’t put the company to bed. It kept on going, and key in LeanSpa.com today and you’ll land on a site for Resveratrol Plus, another weight loss product. I understand that no company should be put out of business until proven guilty of false claims. The FTC has to do its due diligence, but why would it take more than two years to follow through? L’Occitane, the iconic French brand headquartered in Paris, sells beauty products and fragrances online (e-commerce is its fastest growing channel) and in 1,500 boutiques around the world. Its 2012 ad campaign for the Almond Beautiful Shape (about $48 for seven ounces) and Almond Shaping Delight (approximately $44 for seven ounces) claimed these topical creams would help people slim down. Yes, too good to be true and not cheap for a simple body moisturizer by another brand that you could buy for less than $10. Worldwide sales for L’Occitane products overall are up to 900 million euros – $1.2 billion – with net profit of 13 percent, according to global branding leader Interbrand. This well-established company has duped its customers by promising false weight loss claims and a slimmer silhouette. 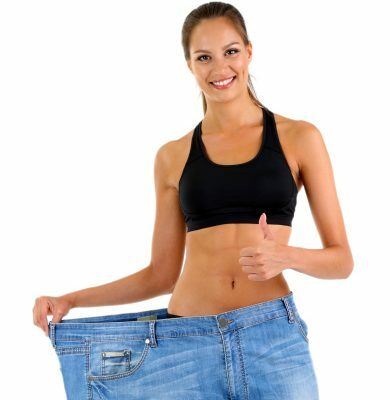 HCG Diet Direct sells a liquid form of the unproven human hormone chorionic gonadotropin (made in the female body when pregnant to keep the developing baby nourished) in its weight-loss products. The formula is sold in pellets, sprays and oral drops. The company claimed the drops were approved by the Food and Drug Administration (FDA) – not – and charged approximately $35 for a seven-day supply. Sales totalled $3 million between 2009 and 2012, according to the CNN report. 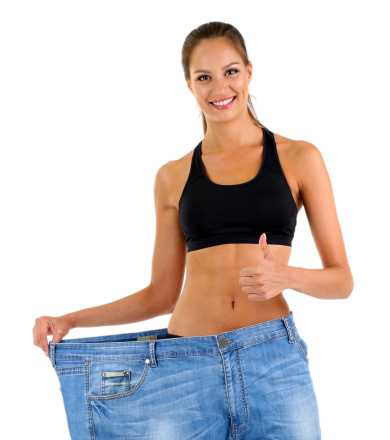 HCG products work in conjunction with a near-starvation diet of only 800 calories per day. To put that number in perspective, the average woman needs about 2,000 calories a day. For men, that number jumps to 2,400. If you’re only consuming 800 calories a day, you’re going to drop pounds. It has nothing to do with the drops. What’s more the FTC and the FDA warned HCG Direct and six other companies selling the HCG products to cease and desist in December 2011 – two years ago. You can find letters of warning on the FDA website, but the average consumer is not likely going to dig too far down before ordering HCG. What’s going on here? A free market system gone awry. The FTC and the FDA have failed to protect the consumer! Unscrupulous companies motivated by greed are sucking in the hard-earned dollars of consumers. It’s illegal to publish unsubstantiated claims of health supplements, but how effective is an official crackdown if it happens a full two years after the initial marching orders? Our system is broken and consumers are paying the price. People in a tough economy want to avoid expensive doctor visits and prescription medication. They want to take their health matters into their own hands, but they’re still looking for help and support at their fingertips – searching online to self-diagnose and self-medicate. There are so many opportunities for us to live healthier lives, bringing us right back to the basics of diet and exercise. Timeless natural medicine, passed down through the generations, can be found in foods and herbs. I believe there is a better way to robust health than over-prescription by Big Pharma that can be expensive, ineffective and possibly harmful with long-term use. And even the drugs that are proven leaders at treating a condition often have an exhaustive list of side effects. Western medicine bandages the symptoms, but at what cost? I am frustrated by the hucksters breaking laws and giving the supplements industry a bad name. I am concerned about regulators, like the FTC and FDA, letting us down. Yes, I’m well acquainted with the supplements industry and emerging science around new and promising ingredients and formulations. I believe that a research team with even a basic level of medical knowledge could have determined these products won’t deliver on claims in a matter of days. Without reliable regulators, the market hype leaves so much up to the consumer to make an informed decision about a product – the consumer who is just looking for a little help to slim down and feel empowered.